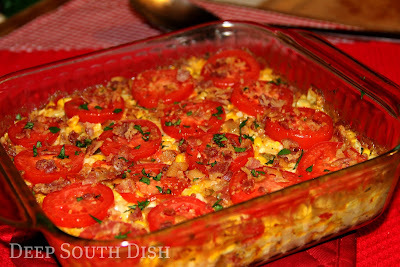 More Deep South Dish recipes for things to do with that summer bounty of garden fresh tomatoes. I always look forward every year to the arrival of summer tomatoes and wait anxiously for that first roadside vendor to make an appearance, as much as I look forward to these amazing Creoles from Louisiana to show up in the markets. Any local tomato to you is gonna be the best tomato, and I gotta say, these Creoles are some good eatin' y'all. I've sure been enjoying them! I don't know about all y'all up north, but it is certainly true that we southerners do eat a lot of tomatoes, and they are very central to our diets down here in the Deep South - whether they are simply sliced as a side dish as pictured, which is very common, or used in recipes. 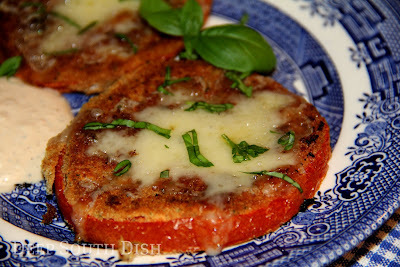 Just looking at the pictures here again make my mouth water for a sliced tomato! 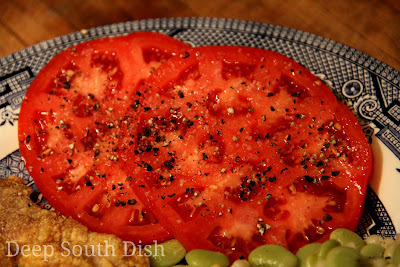 In a previous post, I listed 12 ways to enjoy those summer tomatoes, from the first garden tomato served straight up just that way, simply sliced on a plate with a little bit of Duke's and some salt and pepper, to what you can do when you have more tomatoes on hand than you can dream to use and some of our favorite, simple summer salads. Here I've expanded a bit more on actual recipes using those gorgeous garden fresh tomatoes, in case you're in need of some inspiration for what to do with them. Some of these recipes have been here on the site awhile, others are fairly new ones you may have recently missed, and, of course, as always, stay tuned, because I already have more recipes in the pipeline lined up to bring to you. Be sure to check back! If you make any of my recipes, I'd love to see your results! Just snap a photo and hashtag it #DeepSouthDish on social media or tag me @deepsouthdish on Instagram! Let's start with these little biscuit cup treats. Filled with fresh tomato, bacon, cheese and basil, they're a like little mini-BLTs in a bite sized form, and perfect for parties, movie night with the family, or just because! Tomato pie, using simple fresh ingredients - juicy tomatoes and fresh herbs, layered in a flaky pie crust, with sweet onion and cheese. 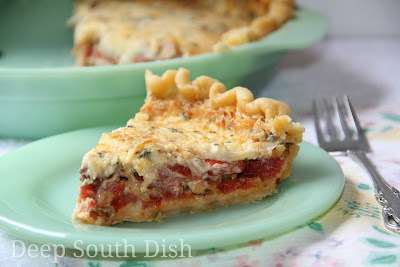 Dress the top with the traditional mayonnaise and cheese mixture, and you've got a classic southern tomato pie. This fresh tomato pasta sauce is hands down one of my most favorite dishes to make with fresh tomatoes. 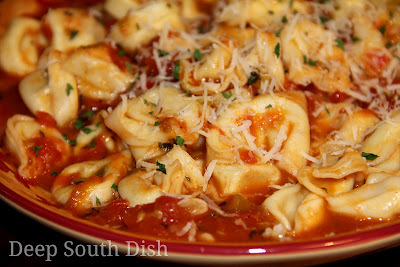 It's such a nice light sauce that goes great with pretty much any pasta, pictured here with a three cheese tortellini. A great summer side or light meal, garden fresh tomatoes are sliced thick, dredged first in flour, then dipped in an egg wash and rolled in bread crumbs, topped with shredded cheese and passed under the broiler. Serve them with a Cajun mayonnaise, or Mississippi's own original - Comeback Sauce. 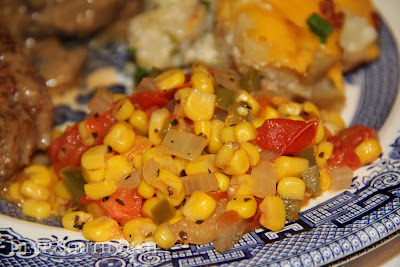 A side dish form of maque choux, this tomatoed corn, is a very veggie side made with fresh tomatoes and corn, and cooked in sauteed onion and bell pepper. For added smokey flavor, include some bacon. Also great with some okra added. 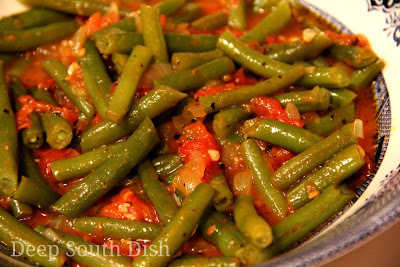 Garden fresh green beans are stewed down with fresh tomatoes and sweet Vidalia onion, a touch of brown sugar and seasonings. Now that's a fresh combination that I absolutely love. Great with a little bacon added too. This casserole features garden fresh tomatoes with sweet summer corn, onion, sweet bell pepper, bacon, sour cream and fresh garden herbs. 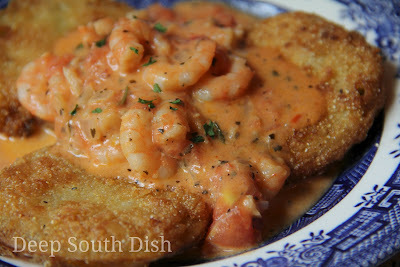 Great as a side dish or appetizer, fried green tomatoes are topped with a shrimp in a fresh tomato and basil cream sauce. A southern favorite, okra is sliced and cooked in bacon drippings, then stewed with garden fresh tomatoes and Vidalia onion. Add a can of Rotel tomatoes for a little extra kick. I like to serve okra and tomatoes over rice. 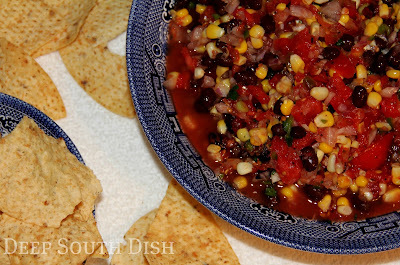 One of my favorite snacks is tortilla chips and salsa, and one of my favorite salsas is the corn and black bean variety. I played around with my restaurant style salsa and came up with this one, made with summer garden tomatoes, fresh off the cob corn, black beans, lime and cilantro. Just add chips. 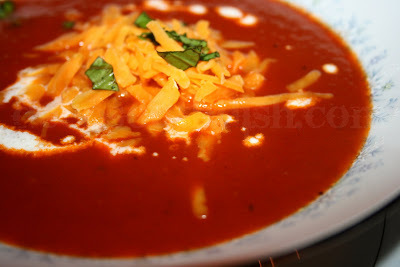 This tomato soup is made from extra large, fresh garden tomatoes and sweet Vidalia onions, chicken stock and other seasonings. 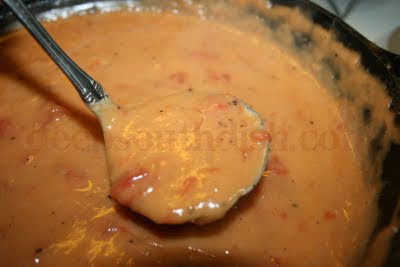 You can leave this soup chunky if you prefer, but I puree it using an immersion blender so that it's thick and creamy. Add in a package of refrigerated pasta, like tortellini, or pair it up with a nice grilled cheese sandwich for a great meal even on a hot summer day. You can use some of your less stellar tomatoes along with this recipe for Slow Roasted Tomatoes to make this soup really shine. 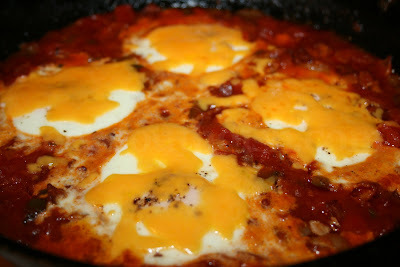 Eggs are dropped into a bed of fiery tomato sauce, made from fresh tomatoes paired with chunky Rotel and enhanced with bacon, onion and sweet bell peppers, and then passed in the oven for the eggs to set. Top the eggs with some shredded cheese and scoop the eggs and sauce over cheese grits. Old fashioned breaded tomatoes, or scalloped tomatoes, made from garden fresh tomatoes that are stewed down with a little onion, thickened with flour, lightly sweetened and tossed with toasted squares of bread. Can be served as a skillet meal or topped with cheese and baked in the oven. Great served with fried fish and mashed potatoes. This roux-based gravy made from fresh tomatoes, is traditionally served over hot homemade biscuits, but the sauce can also be served with meatloaf, over rice, or spooned on grits. 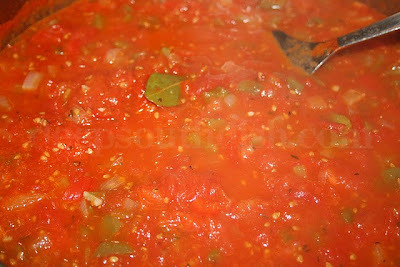 This Creole tomato sauce, made from garden fresh tomatoes, onion, a mix of green and red bell pepper, celery and seasonings, can be used for recipes like Shrimp Creole, Daube and Spaghetti, Creole Stuffed Peppers, Creole Chicken, Creole Meatloaf, or anywhere you want a bump up from plain tomato sauce. And last, but certainly not least, here's the method I use to put up garden tomatoes - using my freezer. When you don't have the pantry space for canning jars, but you would like to put up some summer tomatoes, it's super easy to prep them for the freezer. Twelve bags of tomatoes can be frozen flat and take up far less space than canning jars, and it's easy to do. 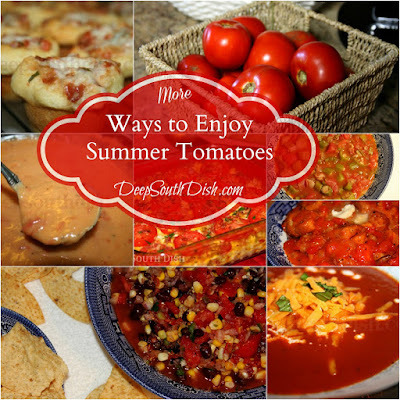 Be sure to pop over to the previous post, 12 Ways to Enjoy Summer Tomatoes for even more ways to enjoy these summer tomatoes. All of these dishes look delicious. I am a Southern girl too and I have to say my favorite Tomato dishes are Tomato Gravy with Buttermilk Biscuits and a straight out of the garden Tomato and Mayo sandwich! Both favorites of mine too Mary Ann! Great post! What about fried green tomatoes? When we get tired of eating them ripe I start picking and frying them before they ripen. Great way to use what is left if you get a killing frost in the Fall also. Oh yeah, for sure Deana - have had a few myself this season! I am absolutely drooling here! I did the same thing to myself Eva! I have been growing creole tomatoes in my garden for three years. They are the best performers and tastiest. I knew better than read this just before lunch and now I want to try them all right now - they all sound delicious. While down there in2010, we saw creole tomatoes at a roadside and farmer that I am, I had to stop and learn more. I thought they might be a special tomato variety, but it turned out they were any variety grown in that area and the growing conditions unique to it. Exactly! Kinda like that whole Vidalia v. sweet onion thing. I do think some folks sell plants that they call Creole, but in order to be a true Creole tomato it has to be grown in south Louisiana soil and certain river parish regions. Oh my gosh Larry, they really are the best tomatoes in our region, I swear. There are folks who drive over from Florida & Alabama just to buy them when they first are out in the markets! great post! they all look delicious! especially those tomato cups! Those are yummy for sure! I'm growing my own Creoles this year and can't wait to try out your casserole! I had to make my husband stop and pick me up some more Jessica after posting this LOL!! While I love tomatoes in all sorts of ways, the best way I like to enjoy there essence is eating a fresh slice with salt and pepper. That's it. But you included a lot of my other favorites too! 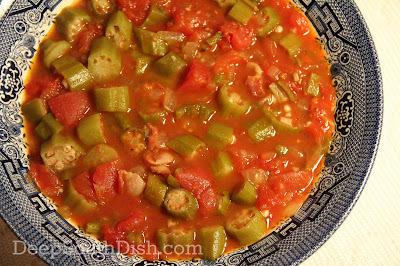 Especially stewed okra and maters. Me too Chris - except I also like a little dab of Duke's mayon on the side too. As a child I disliked tomatoes. Now, I love Creoles when I go home to Louisiana. Don't tell my Cajun cousins, but tomatoes in Central America are the best. I look forward to finding some okra and bacon to stew with some fresh tomatoes. I think that tomatoes are best locally to be honest - so wherever you live is where you want them to be from. I love tomatoes, but the ones shipped here from other countries just can't stand up to those locally grown Creoles this time of year. I'm a happy gal & have been consuming them in droves! I probably ought to have red tinted skin about right now LOL!! Oh Mary I love maters! You are right most everyone says their local grown crop are the best. For me, the best tomatoes come from New Jersey... Being from Philly, it's just over the bridge so I guess that counts as local lol. Anyhow, we ate tomatoes all the time, a staple so to speak probably why I like them so much. You've got a lot of new recipes for me to try. Thanks for sharing them. My mouth is waterin'! Can't wait to try lots of these recipes. Hope you enjoy those fresh tomatoes Brenda! Oh my, the southern tomato! I'm eating a tomato sandwich every day for lunch since they have started to get ripe in the garden. And shut your mouth, I haven't even thought about Tomato Gravy!! Got to go home and make some tonight!! powder..Just wondered if any of ya'll ever had this dish? Yes, though it sounds as if your mom made it her own and it sounds like you pretty much have it down to experiment with really! 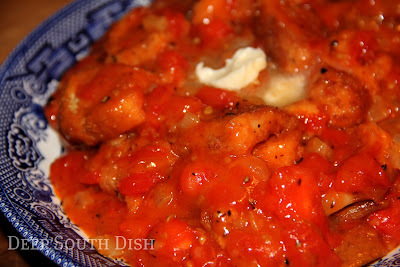 Did you notice the dish up in the list called "Scalloped Tomatoes - Old Fashioned Breaded Tomatoes?" That is also known as tomato pudding. With some variation,it is like that kind of recipe. Click on that link & check the recipe - it may be similar to what you are looking for to where you can adjust it to your liking. 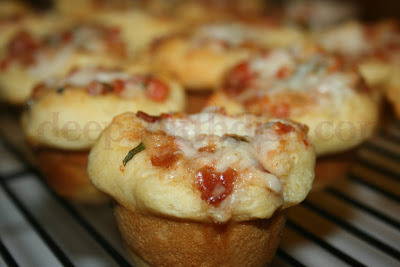 The cheese topping is a great addition, though it is also an optional step. The allspice was probably your mother's personal addition.